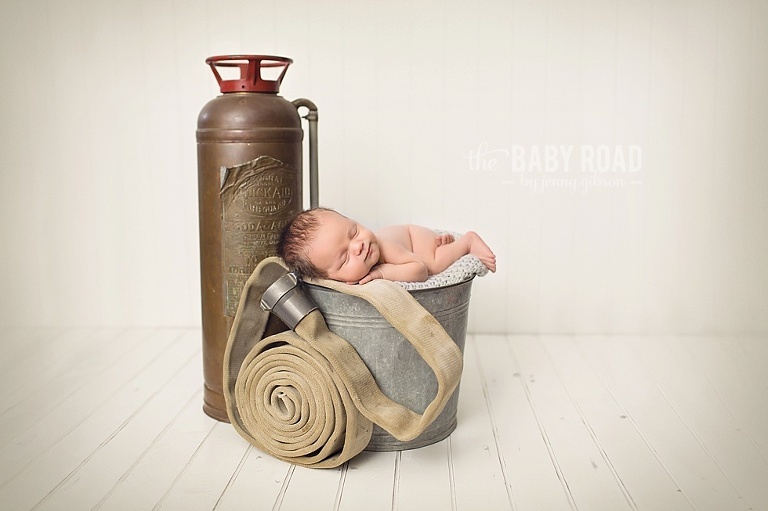 As many of you know, I do no use many props in my newborn sessions. I want the viewer’s focus to be on that precious little bundle and not distracted by props. But I do make one exception… when those props have some significance to the family. 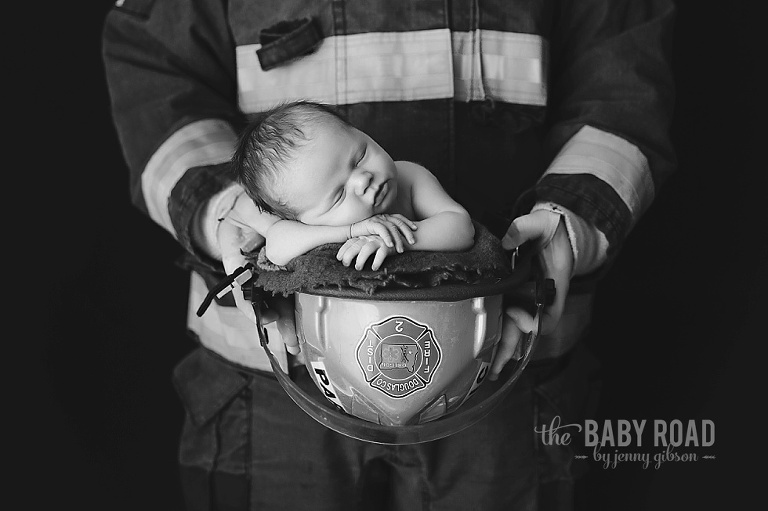 This month I had the opportunity to work with someone invaluable to our community… I was honored to create and photograph a newborn session fit for a Roseburg, Oregon Fireman and his family. Much to my surprise and delight, Dad has these amazing vintage props! For each session, I like to create a new little outfit so they will be unique to each client. Mom chose greys for Mr. M’s nursery and I loved how this little hat and romper turned out! Those little toes, lips, fingers and nose will only be this tiny once. Big sister was so great with her little brother. Although she tried to hide it, you can just see how much she loves him! Sometimes Mom isn’t in the mood for having her picture taken right after she’s had a baby, but I always try to incorporate her somehow so she’ll have those precious photos with her baby too. Part of his nursery theme is elephants. I had so much fun making this tiny vintage stuffed elephant just for the occasion! And where my skills/time are limited, I have a wonderful vendor who creates these beautiful hand knit blankets, hats and even elephant toys! Thank you Jessica! You can find more of her gorgeous work at her Etsy store here. These womb poses are simple and classic. I heart black and whites! Don’t wait until the last minute to schedule your newborn session; appointments are limited so it is best to book several months before baby is due! Like what you see and want more info? Contact Jenny here! Awe, thanks Deana! You are too kind! 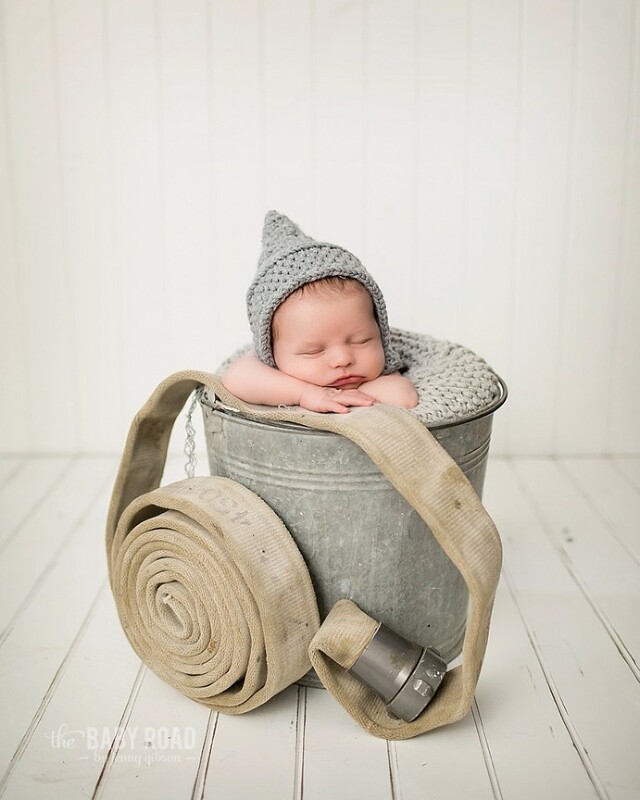 © 2019 The Baby Road by Jenny Gibson-Roseburg Oregon Newborn Maternity and Child Photographer|ProPhoto Blogsite|Design by Northfolk & Co.